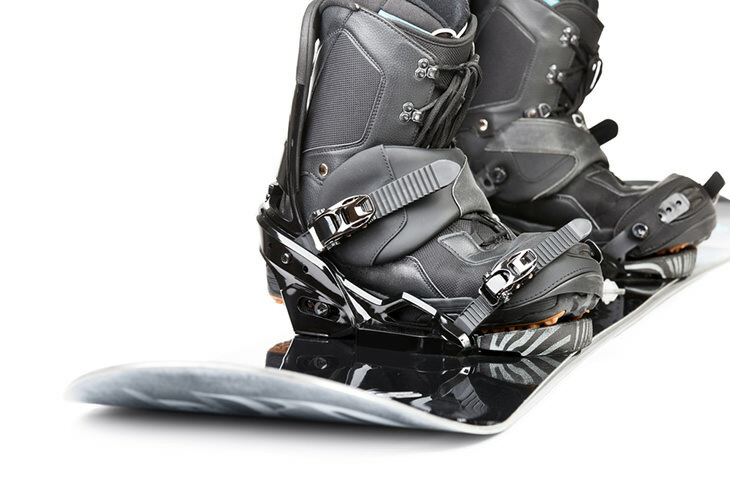 Snowboard boots are probably the most important piece in your snowboarding set up. It’s also a very personal piece. There’s no single best boot for everyone because every snowboarder has different styles, fit, ideas of comfort, and preferences. Burton has been innovating snowboarding equipment, among other things, for around 40 years. The Burton Imperial Snowboard Boot is a product of these years of being in the mountains and learning what works and what doesn’t. It features Burton’s Speed Zone Lacing System, Imprint 3 Liner, Vibram Ecostep Rubber Outsole, and Aegis Antimicrobial Coating. 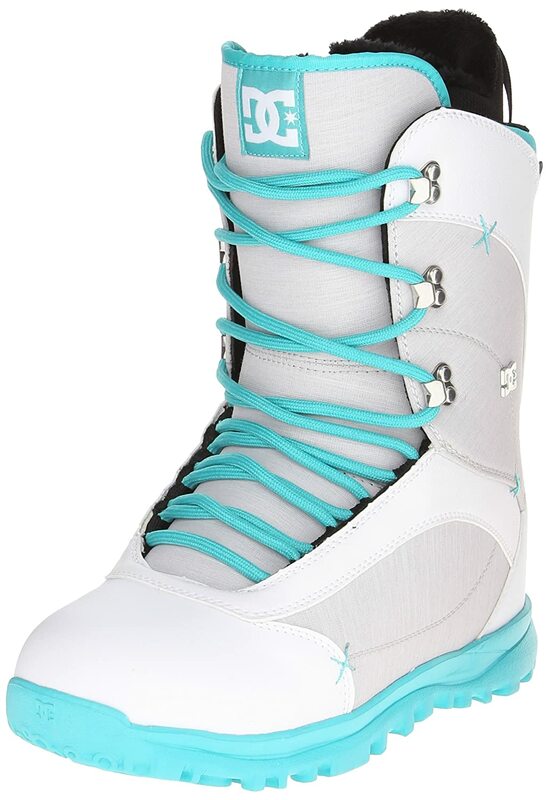 One of the defining features of the DC Scout Snowboard Boots is the Boa Coiler lacing system. It also has the Snow basic insole, which is a die-cut EVA. The exterior layer wicks moisture, preventing any dampness and discomfort. The soles are DC’s lightest outsole- Unilite Foundation Outsole. One of the first things you need to determine your riding style. 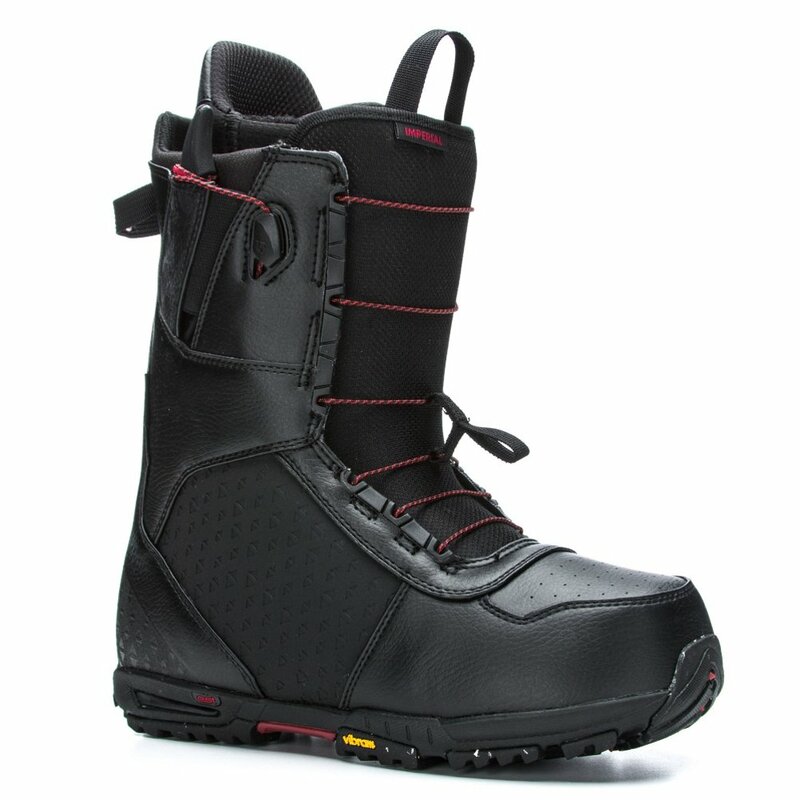 It defines not only your choice of snowboard boots but also the rest of the equipment. ​For instance, if you are a noodler or someone who likes to jib, then you should get a jib/street board. About the boots, you need to consider your riding style because it defines the flex you level of flex you’ll need. Freestyle Riders are the ones who love to do flips, jumps, jibs, and other tricks. You can find a lot of them in parks and halfpipes. They usually have a softer flex because it allows an easy landing, provides enough room for error and allows the rider to tweak grabs more freely. ​For freestyle riding in the parks, you can go for a soft flex (1-2). If you want something more multi-purpose like for jibbing and freestyle riding in the mountain, opt for medium-to-soft flex (3-4 rate). For high jumps and pipe riding, a stiffer flex (around 5-6 rating) is ideal. It’s not too stiff that you can’t tweak grabs, but it’s stiff enough for more stable landings. Free-riders are those who like to go in the backcountry, where there’s lots of powder, steep jumps, and more freedom. It’s also away from crowds. 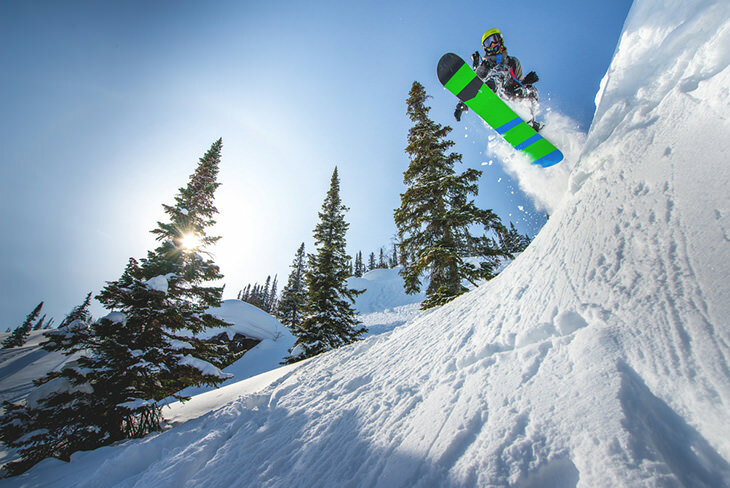 ​They have a need for speed and precision, so boots should be stiff enough for them to carve at high speed. A stiff flex (around 9-10) works great for this. All mountain riders enjoy a bit of every style. Their boots need to be flexible for when the ride in the park, the trails, and backcountry. All-mountain riders can benefit from medium flex (5-8 level). It’s like the middle ground in the snowboarding world. If you are a beginner, you won’t know what kind of rider you are yet. It’s best to go for a medium-to-soft rating, which is around 3-4 out of 10. This will provide you enough room for errors and allows for a more merciful ride. 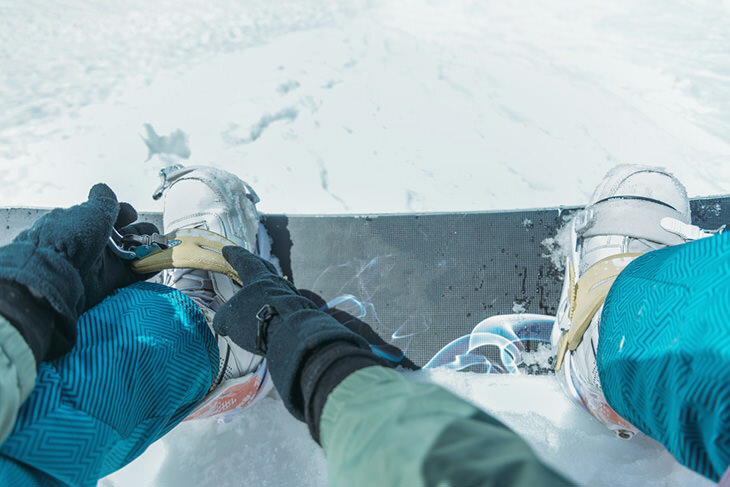 There are three typical lacing systems for snowboard boots: traditional lacing, quick-pull and BOA. Traditional lacing offers the most customizable fit because it allows you tighten or loosen as you please. It enables you to maximize your comfort level. Another advantage they give is that replacement laces are easy to find. The downside is that they can be difficult to tie or adjust while wearing gloves, or your bare fingers will get cold adjusting them. They’re also more vulnerable to accidental or unintentional loosening. As the name suggests, this lacing system is designed to be quick with a pulling mechanism. It’s much like a corset, where a single pull initiates tightening. ​Many quick-pull systems have zonal lacing, meaning you can adjust the tightness of the forefoot lacing separately from the ankle or lower leg. It’s fast, convenient, and easy to do while wearing gloves. There are different types of quick-pull lacing which vary from manufacturer to manufacturer. The disadvantage of this lacing system is that if may not be as snug as the traditional lacing system. Another disadvantage is that if the lace breaks, it could end your day of snowboarding. Replacing laces is not as simple as the traditional lacing. The Boa Lacing System makes use of a ratcheting dial to adjust the laces. It’s a lot faster and easier than traditional laces, especially with gloves on. It only requires one hand to adjust because you simply have to turn the dial. The downside is that parts, where the strand attaches to the boots, are prone to pressure points. Also, if a strand breaks, then you’re done for the day. It’s more difficult and more expensive to replace broken strands from the BOA system than it is to fix or replace traditional laces. 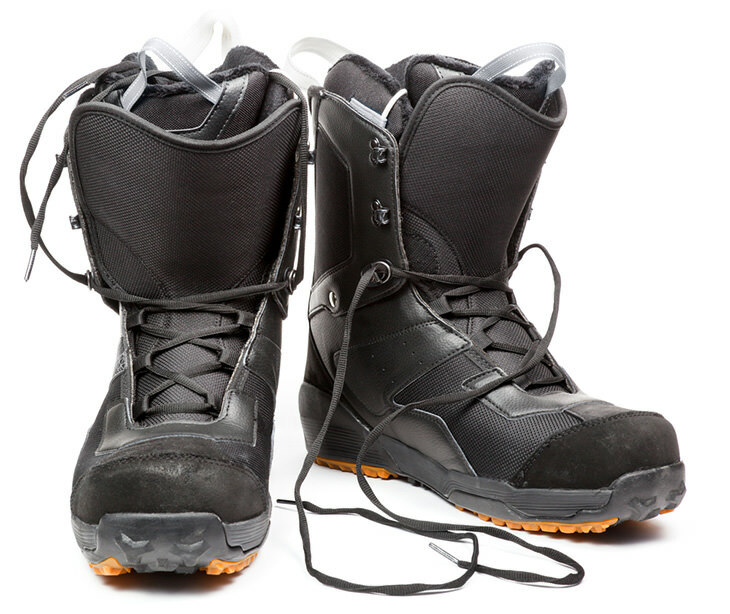 The inner boot in the snowboard boot is called the liner. Its purpose is to provide insulation, cushioning, and stability to the user. They are either removable or permanently attached to the snowboard boot. There are three kinds of boot liners: stock, moldable, and thermoformable. 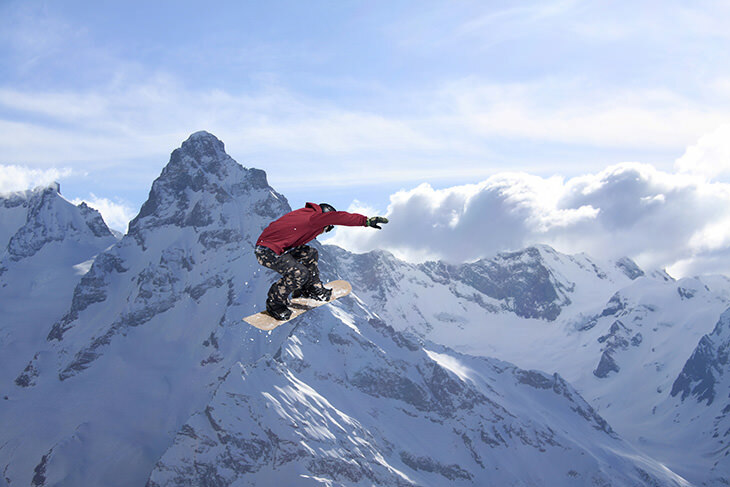 Snowboard boots should fit snugly; not too tight that it causes pain or pressure points. You’ll know it’s a good fit if your heels don’t move up and down or back and forth. The toes should hardly touch the toe cap, and you should be able to wiggle them a little. Usually, in the first few days of riding, the boots will feet tight. 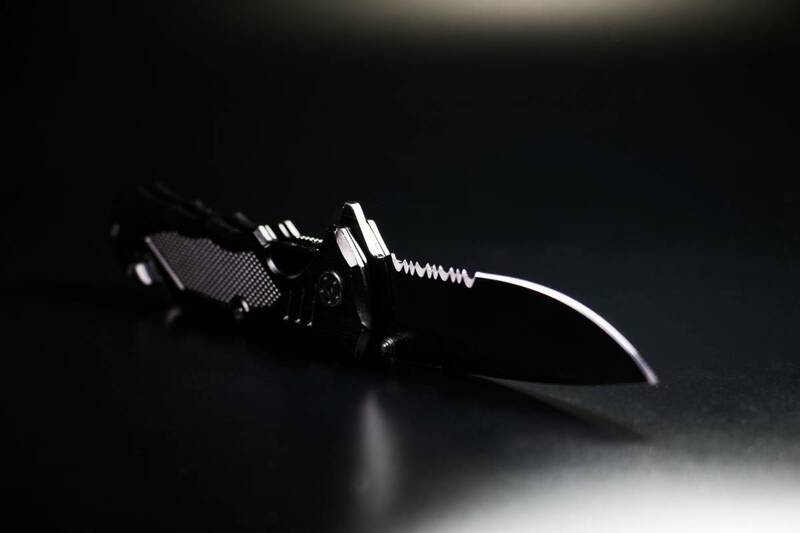 Ideally, you should buy them from the store where you’ll get some help from professionals. The socks you wear with your snowboard boots are also crucial. It makes a huge difference in your comfort and performance level. 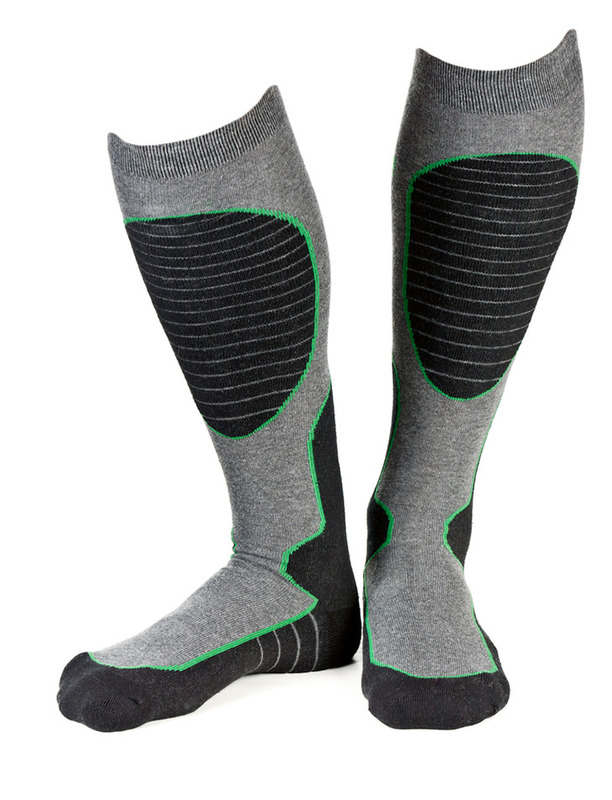 There are socks made especially for snowboarding that keep you warm and dry. Avoid cotton socks because they don’t wick moisture and damp and cold feet is just uncomfortable. Burton has been innovating snowboarding equipment, among other things, for around 40 years. The Burton Imperial Snowboard Boot is a product of these years of being in the mountains and learning what works and what doesn’t. It features Burton’s Speed Zone Lacing System, Imprint 3 Liner, Vibram Ecostep Rubber Outsole, and Aegis Antimicrobial Coating. Burton has been innovating snowboarding equipment, among other things, for around 40 years. The Burton Imperial Snowboard Boot is a product of these years of being in the mountains and learning what works and what doesn’t.It features Burton’s Speed Zone Lacing System, Imprint 3 Liner, Vibram Ecostep Rubber Outsole, and Aegis Antimicrobial Coating. Easy to set the tightness. Durable and Burton’s lifetime warranty. The liners are very comfortable. 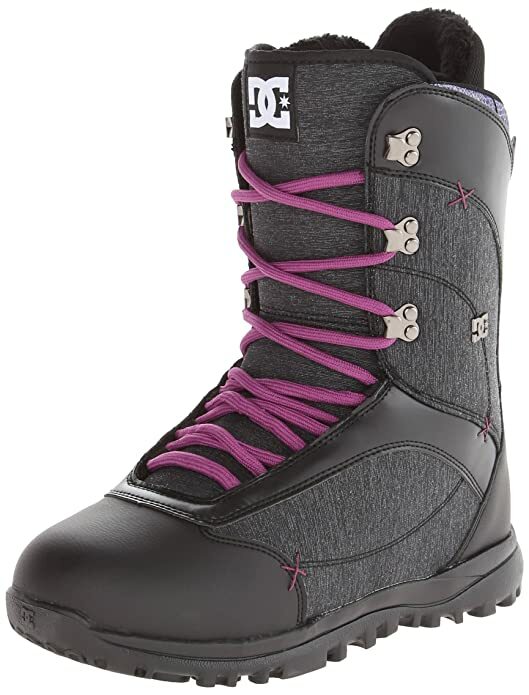 One of the defining features of the DC Scout Snowboard Boots is the Boa Coiler lacing system. It also has the Snow basic insole, which is a die-cut EVA. The exterior layer wicks moisture, preventing any dampness and discomfort. The soles are DC’s lightest outsole- Unilite Foundation Outsole. This boot has a flex rating of 6, which is quite firm. It’s ideal for fast rides and solid turns in all-terrain. Finally, it has the “red liner,” which is an innovation that will keep your warm and dry. 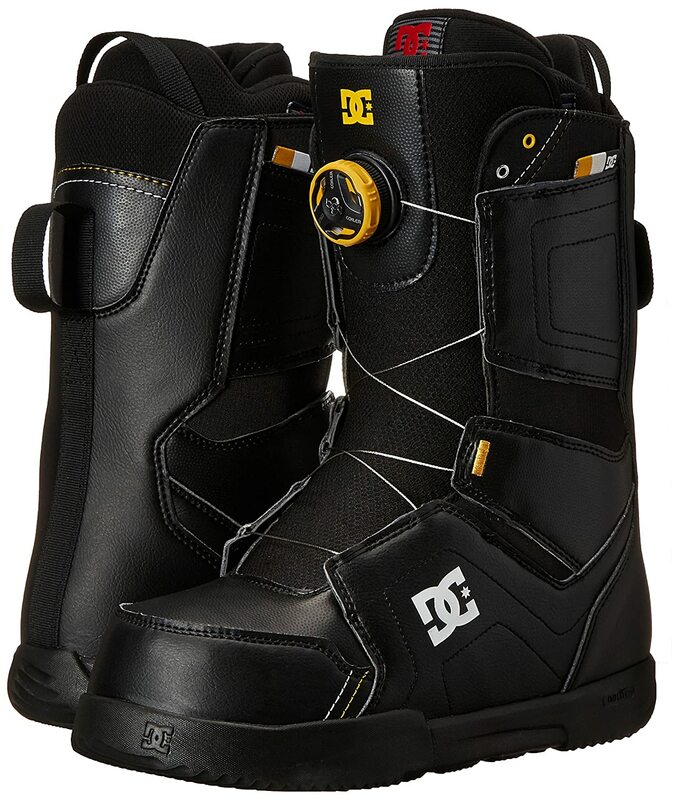 One of the defining features of the DC Scout Snowboard Boots is the Boa Coiler lacing system. It also has the Snow basic insole, which is a die-cut EVA.The exterior layer wicks moisture, preventing any dampness and discomfort. The soles are DC’s lightest outsole- Unilite Foundation Outsole. The lacing system is very easy to adjust. Great for all mountain riders. The red liner is great. Tight at first but it packs out nicely. Pressure points in certain parts that can be uncomfortable. Laces loosen up a little bit after a short ride. 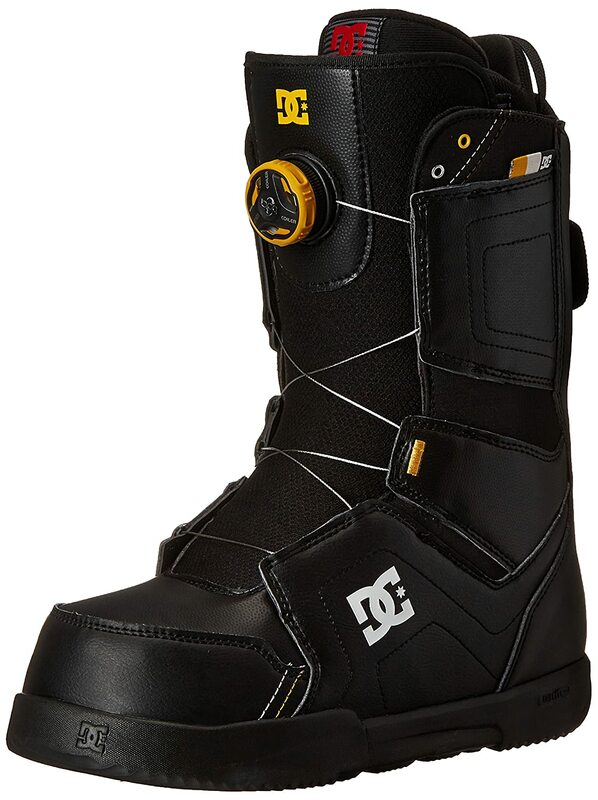 The DC Karma 15 Snowboard Boots is has a traditional lacing system. It also features DC’s Red Liner, Snow Basic Insole, and Unilite Outsole. It has a medium flex rating (5). The flex level is very progression friendly. Traditional lacing system allows for a more personalized fit. Keeps feet warm and dry. Difficult to adjust with gloves on. Laces get loose if you don’t keep them nice and tight. 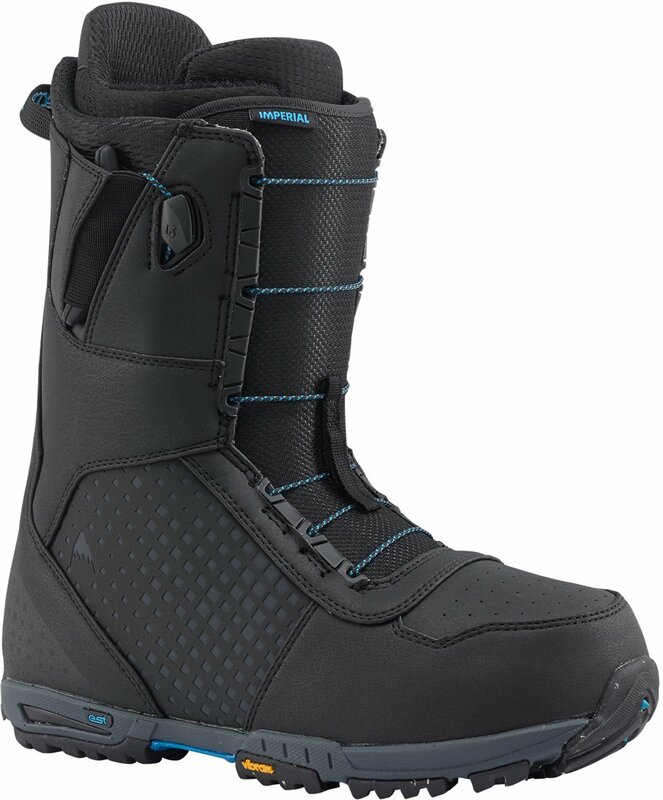 Finding the best snowboard boots requires a lot of thought and consideration. It’s a very technical process because you don’t want to end up with something that is uncomfortable and can potentially cause injury. Snowboard boots can make or break your ride! It’s important to consider what type of riding you’ll be doing so you can choose the best boots with the features just right for it. With that, it’s safe to safe that there’s no one best snowboard boot for everyone. Every snowboarder is different and has different preferences regarding comfort, support, and boot flex.